Here’s an interesting news story from a few weeks’ back that probably deserves more attention in light of the so-called “victims’ rights” amendment dubbed “Marsy’s Law” that North Carolina voters are being asked to pass judgment on this fall: the man behind it is getting a look at the criminal justice system from a different perspective — that of criminal defendant. As the Nevada Current noted last week in an article on Marsy’s Law (that state will also vote on the proposed constitutional amendment this fall), Henry Nicholas, the billionaire who launched the Marsy’s Law movement in response to his daughter’s tragic murder by her boyfriend 35 years ago, was arrested in Las Vegas last month on suspicion of drug trafficking. “Broadcom co-founder and billionaire Henry T. Nicholas III was arrested in Las Vegas on suspicion of narcotics trafficking after police discovered heroin, cocaine, meth and ecstasy in his suite at the Encore hotel, police said Thursday. The story goes on to point out that Nicholas has actually had several run-ins with the law in recent years, including previous indictments for drug violations and illegal stock trading. 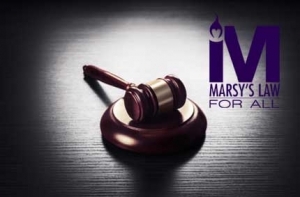 The irony here, of course, is that, as many critics of Marsy’s Law have noted, one big potential problem with the proposal is that it could pose serious problems for the rights of criminal defendants who could see their rights to justice compromised as prosecutors elevate the rights of crime victims over the search for justice in individual cases. Of course, given that Nicholas is rich and seems to have been accused mostly of “victimless crimes,” perhaps he isn’t too worried about such collateral damage from his law. Unfortunately, for those who lack access to teams of expensive defense attorneys and/or are accused of crimes with sympathetic and outspoken victims, Nicholas’s law is likely to cause great injustice. Point 1 and 2 have nothing to do with Dr. Nicholas. There is a large coalition of both progressives and conservatives and moderates that support the amendment, for good reason.